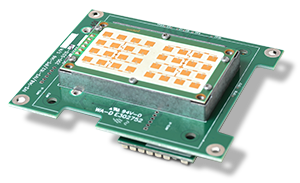 Stalker’s Stationary Statistics Sensor delivers high performance with low power requirements for pole mount or speed/message trailer application. 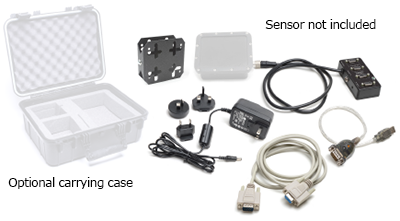 The Stalker Stationary Statistics Sensor is a self-contained system to monitor and internally record traffic patterns on roadways in virtually any location and weather condition. In addition to its statistical capabilities, the unit can track up to 10 moving vehicles simultaneously and operate as an ordinary speed sensor feeding strongest and fastest target information to external systems through a RS-232, RS-485, USB Communication, or USB flash drive interface. Designed for use with the Stalker Traffic Analyst Application. RS-485 connection allows for multiple sensors to one controller. Internal Real Time Clock for date time stamps. 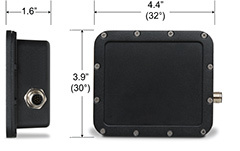 This sensor is identical to the 200-0880-53 with the exception that this product is intended for embedded use only, where it will be installed inside a protective housing by the end user. CE Approved for embedded use. 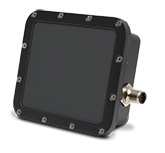 The open board version of the Stationary Statistics Sensor is perfect for pole mounted displays, speed signs, and speed trailer applications where a housing is not needed. Using captured data from the Stationary Statistics Sensor, updated analysis control allows you to take raw data and display it by count vs time, count vs speed, and 85th percentile, just to name a few. Data can be split, graphed, filtered, and then rendered in a color report designed with Agency branding and support information. Beginning with the setup, the actual sensor can be configured. 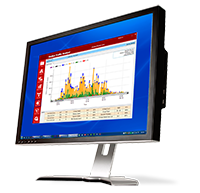 Then, the intuitive survey management tools walk the user through calendar setup, location details, speed and time resolutions, vehicle classification, speeds, distances, and more. .
Current 80 mA @ 12 VDC typ. F.C.C. Approved. No license required.